petition: Sign to show your support for the PAST Act. Sign to show your support for the PAST Act. Right here in our country, a cruel and unnecessary form of horse abuse called "soring" is taking place. 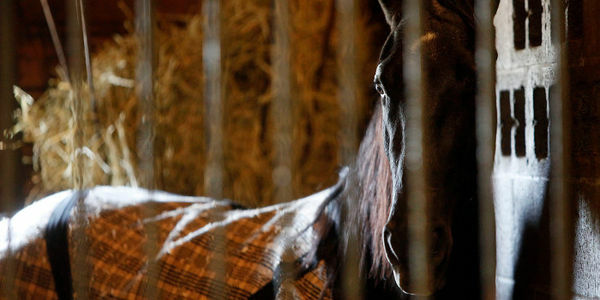 It's been the dark secret of the "Tennessee Walking Horse" industry for decades. But, thankfully, legislation known as the Prevent All Soring Tactics (PAST) Act is being considered to help end this abuse for good. Please sign to show your support for passing the PAST Act today. During this horrific practice, the horse's legs are first burned raw with chemicals. Then, heavy chains are applied to exacerbate the pain, and the animal's hooves are weighted down with stacked shoes. It's painful for the horse to walk — or even just stand — and it's all done to force the horse to step higher so it will win blue ribbons in a show ring. In August, the 80th annual Tennessee Walking Horse National Celebration took place. Over the years, at this big event for horse trainers and owners, many "Tennessee Walkers" have been cruelly exhibited — while their owners are rewarded with world championships. Although animal lovers across the nation have worked for years to end soring, the abuse still plagues this beautiful breed. Now it's time to end this cruelty once and for all. Please sign to help pass the PAST Act and protect horses from heartbreaking abuse today. As your constituent, I urge you to cosponsor the Prevent All Soring Tactics (PAST) Act and do all you can to get it enacted quickly. A cruel and unnecessary form of horse abuse called "soring" is taking place. It's been the dark secret of the Tennessee Walking Horse industry for decades. Passage of the PAST Act would put an end to this inhumane treatment of animals for good. Although animal lovers across the nation have worked for years to end soring, the abuse still plagues this beautiful breed. Please, help put an end to it by working to get the PAST Act over the finish line soon.